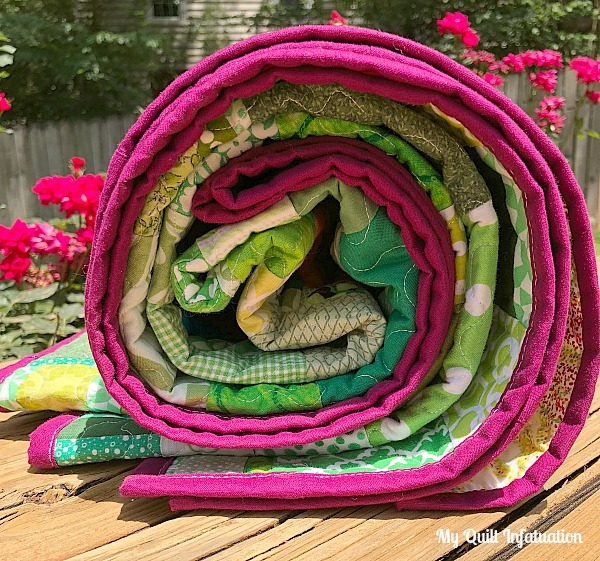 My Quilt Infatuation: Bloom Chicka Boom! 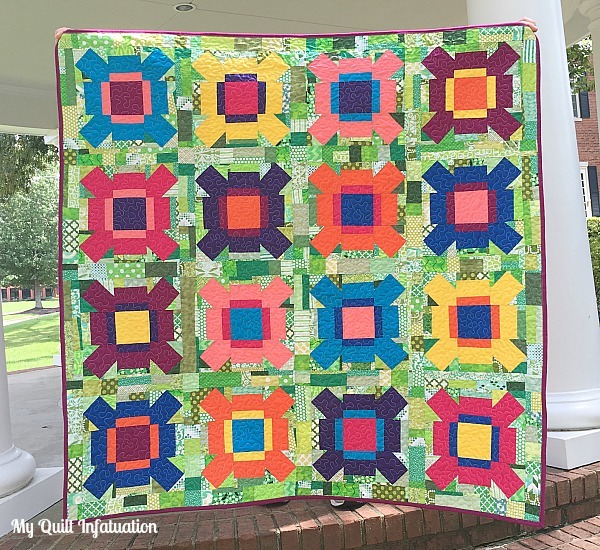 Though of course I love each of the quilts in Stash Statement and enjoyed creating them, the blog hop is now entering my personal favorite section of the book, with four quilts that have Improv in the Background. In this section, the improv piecing becomes a textured backdrop for the blocks, and the effect is really cool- almost like an impressionist painting. The four quilts in the section show land, sea, sky, and a neutral. 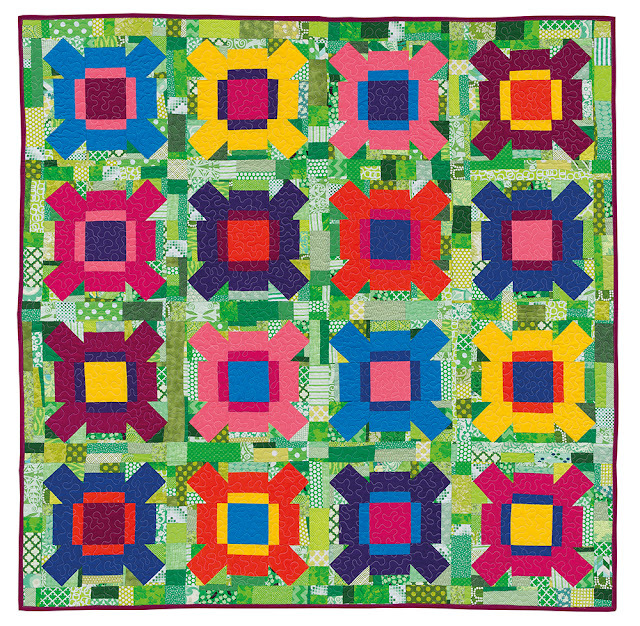 With its lush blooms, representing land is the super cheerful and fun Bloom Chicka Boom quilt. It's no secret that green is my favorite color, and in Bloom Chicka Boom, I included green scraps in every shade imaginable. 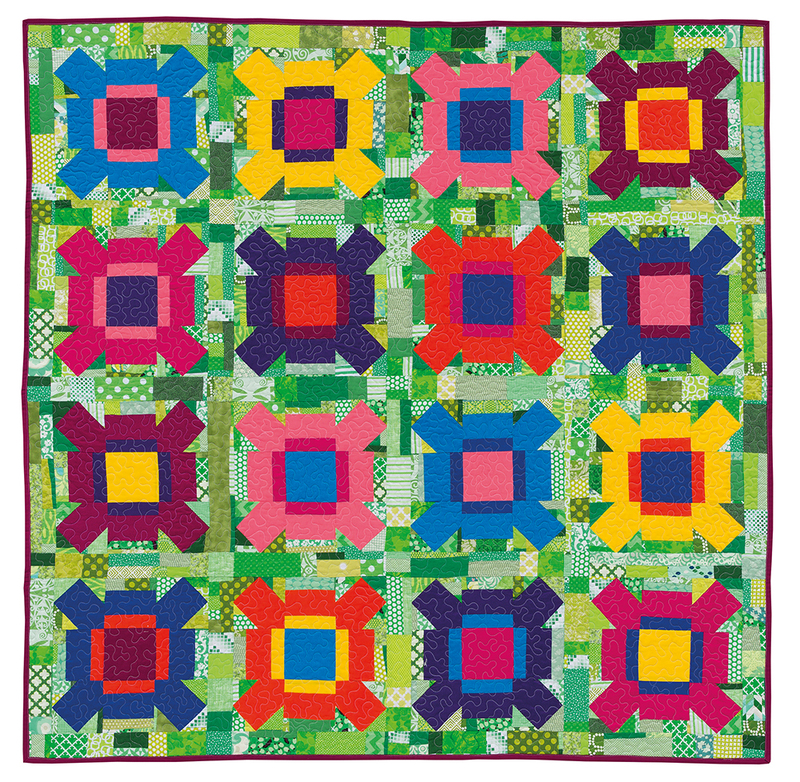 Eight Kona solids were used for the blocks- Purple, Tangerine, Royal Blue, Pomegranate, Corn Yellow, Melon, Turquoise, and Cerise, and the bold solids against the improv create a cool, three-dimensional effect. 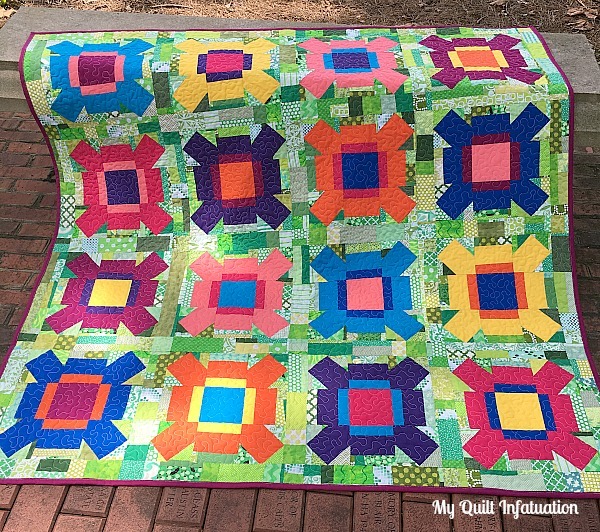 This quilt was so much fun to design and make, and even though it looks like a ton of improv, it's really just an illusion, because the solid floral blocks take up the most visual space in the quilt. On the back I used this awesome Art Gallery print, which picks up the colors in the front just beautifully, and widened it out with stripes of Kona Pomegranate and Chartreuse. Bloom Chicka Boom was actually made almost two years ago (publication is a long process! 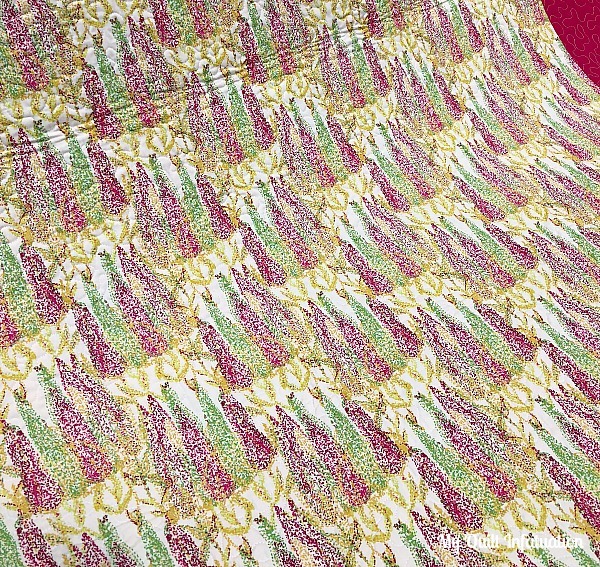 ), so I can't remember the actual name of the fabric or the collection for the backing (sorry!). This was also before I started getting a little more adventurous with my free motion quilting, and it is stippled with 50 wt. Aurifil White. Confession- even after quilting other designs, stippling is still my very favorite motif for letting the piecing really shine. 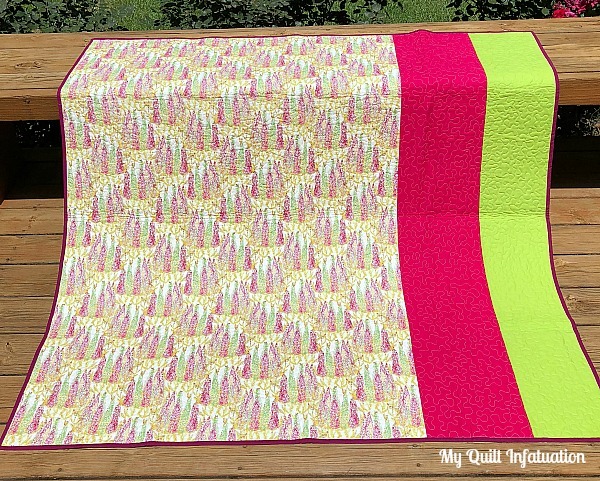 I love how it is easy to vary the quilting density, and that it just blends right in. 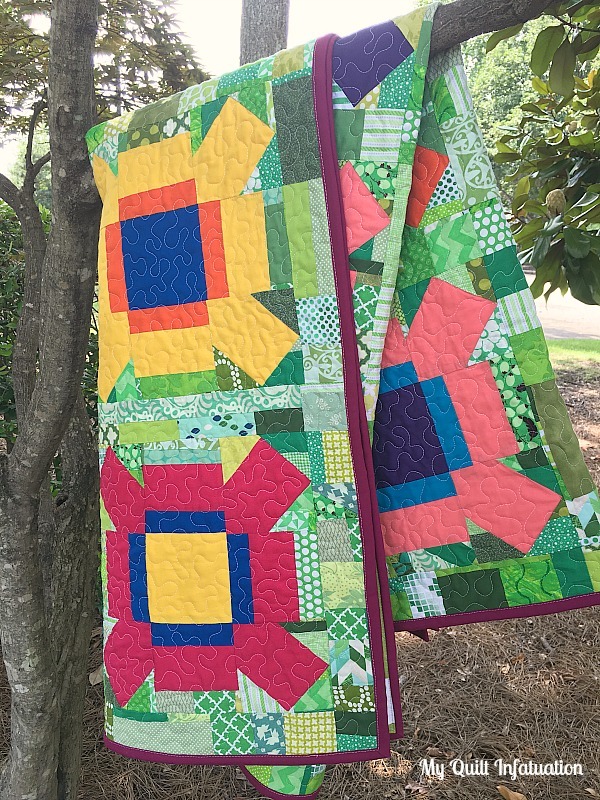 I framed out these bold blooms with a Kona Cerise binding. I almost went with a shade of green to blend into the background, but I love the contrast that the Cerise offers. 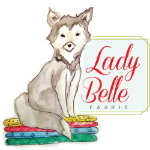 Michelle at From Bolt to Beauty and Chris at Made By Chrissie D did an amazing job making the Bloom Chicka Boom pattern their own, and I can't wait for you to see them! Then, make sure to head over to my Etsy shop HERE for your very own signed copy! 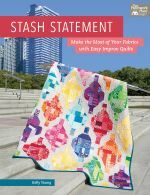 You can also find Stash Statement on Amazon, Connecting Threads, your favorite craft book seller, or at your local quilt shop. 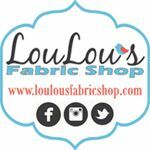 It's hard to fathom, but there are only a few weeks remaining in the Stash Statement blog hop! 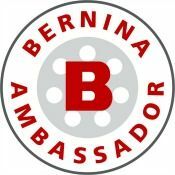 I'm including the full lineup for you, and just so you know, each time one of these lovely ladies blogs her project, I've updated the links in this list to direct to the specific posts (even for the previous weeks in the tour). So you'll always be able to find them! Wow, how amazing that you created this almost 2 years ago and waited so long to share. 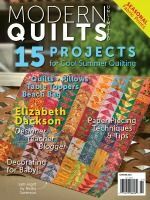 It's a beautiful quilt and I got excited reading about how passionate you are about the background improv piecing for this next series of quilts in the book! 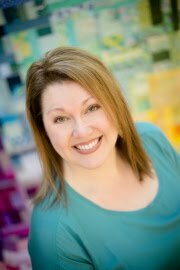 The improv background is really fun on this one Kelly. It also reminds me of laying on the grass looking up at fireworks. I love the total scrappy version Chris made too. 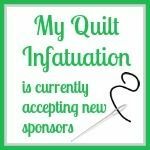 I've really been enjoying this book hop! I have the book. Just need the time! 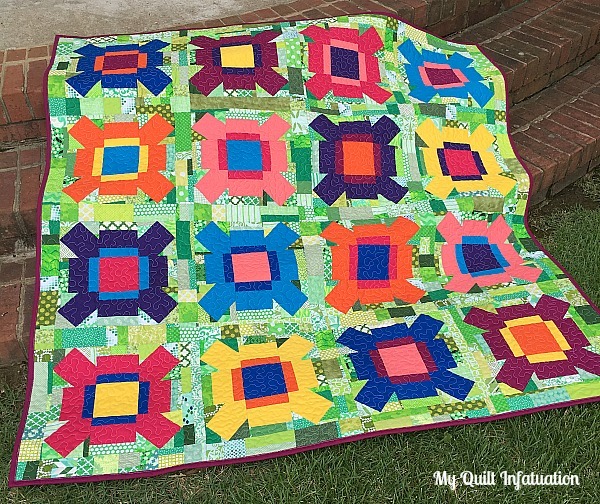 This is such a colorful, fun quilt! I've been trying to resist buying this book, since I have a ton of patterns already, but you've won me over! I just ordered. 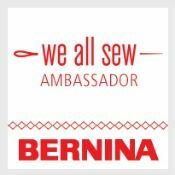 Loving these designs! 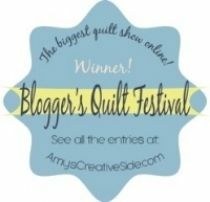 It's been interesting seeing all the different versions of the quilts. All so very different just because of fabric choices.